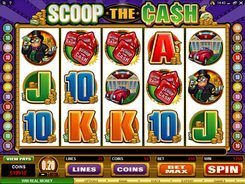 Cash Splash (3-Reel) is yet another Microgaming’s Vegas-style classical emulator crafted with three reels and a single win line. 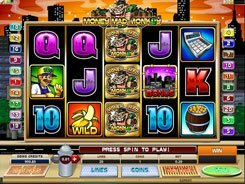 A coin size is fixed at $1, and the slot accepts a maximum of three coins per line, per spin. 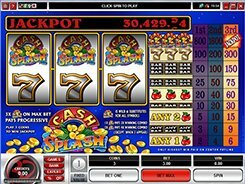 Cash Splash features a progressive jackpot that can be grabbed when betting the slot’s top three-dollar bet. 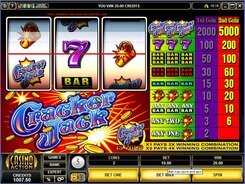 So wagering a mere trifle you get the chance of lining your pockets. 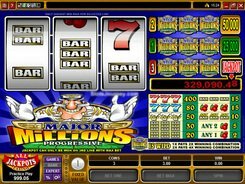 If you have wagered the maximum stake, three Cash Splash logos will win you a progressive jackpot. 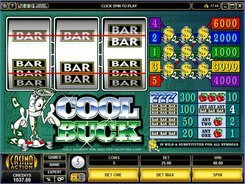 Besides, the Cash Splash logo is a wild card that substitutes for all other symbols and multiplies payouts when completing a winning line. 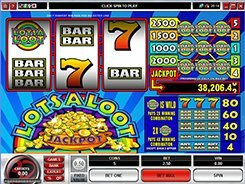 Three Seven symbols pay out the second-largest fixed jackpot of up to 300 coins.